Editor’s note: This feature originally appeared in the February issue of DS News, out now. It’s a cliché, now, to say, “We’re going to the cloud.” The technology, nearly two decades old, is ubiquitous in 2019. It fuels the economy, connecting clients with companies in an immediate way that demands trust and honesty. Look no further than the smartphone in your pocket to see how the cloud is enveloping consumers on a daily basis. Updates to apps, including social platforms and communication portals, are pushed out via the cloud, saving users the hassle of loading and reloading software on every device they own on a regular basis. It also fuels the work of financial institutions. 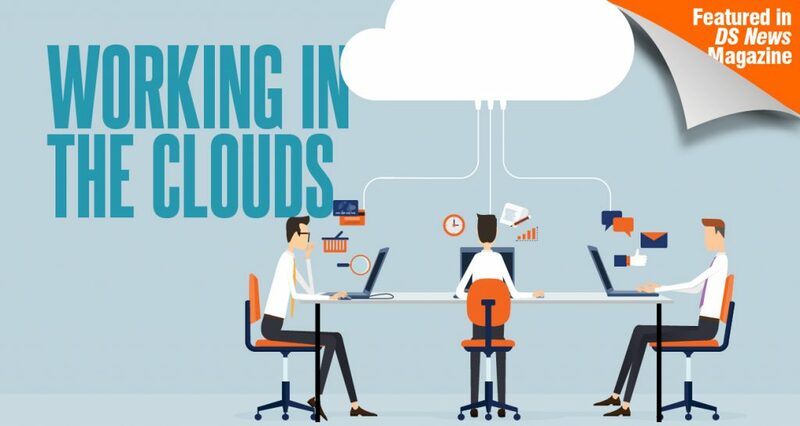 Embracing the cloud often translates into significant cost savings and operating efficiencies for traditional banks and credit unions, wealth firms, and other financial services providers. In today’s market, the technology is more vital than ever, as loan-servicing consolidation continues and more financial institutions are taking on larger portfolios—and, as a result, more risk. As the industry heats up, originators and servicers are looking to technology to help minimize risk and maximize reward. The cloud can help. The cloud makes access to information via various devices quick and convenient. Users no longer have to access a dedicated machine to get work done. A simple way to see this impact is through cloud-based office programs that allow employees to access document creation tools via web browser or app. Companies discover cost savings when outsourcing the management of these applications and systems to a dedicated and trustworthy cloud vendor. For financial institutions that want to make sure loan servicing files are complete, ensure the quality of their loans, and access data from certain documents within those loan file packages, hosting in a purpose-built cloud solution can be an ideal way to send and share information. But even financial institutions that are hesitant to embrace the full breadth and depth of the cloud can benefit from it. Cloud-based file-sharing applications offer a way for default services departments to safely and swiftly share and manage information with clients and third party vendors. Role-based security: You control who shares content, what content they can share, and with whom it is shared. Revocation of access: When an employee changes roles or leaves the company, you can easily lock the account to ensure that person can no longer access private customer information. Simple transfer of ownership: As employees change roles or move to different departments, a system administrator can immediately change viewing and sharing privileges. This ensures employees have access and sharing rights to the information they need to do their jobs. Access permissions are easily managed and an audit trail is created for easy review. Users can track any interactions that are happening and reach out to approved users to better understand decisions. In the past, organizations have fought the concept of cloud technology because control is vital to their success. Control of the processes, control of the infrastructure, control of documents and data. However, there will always be the possibility for things to happen that outside of their control, and when those things happen, the downtime leads to lost productivity, revenue, and brand reputation. The mortgage industry ebbs and flows based on volume and loan quality, all of which can be impacted by technology. Cloud-based technologies allow a servicer to stop thinking about preventing all possible disasters and focus more on how quickly you can recover. Cloud based services provide quick data recovery for emergency scenarios ranging from natural disasters to data breaches to simple power outages. By combining cloud-based file sharing with a content-services platform that provides, for example, intelligent-capture technology coupled with a sophisticated workflow engine, you can create a fully automated program that extends the reach of your content services platform to employees, clients, and partners. Allowing work processes to be triggered by specific events or the introduction of documents/data to the system decreases the potential for errors upstream. For example, after documents are captured into the system for a particular loan or request, the solution can use information like loan number and contract level automatically to create file-sharing folders populated with specified documents for external sharing. Actions like loan approvals, rejections, or modifications can trigger the real-time creation of cloud-based folders, making all associated documents immediately available to the appropriate employees and third-party contacts. You’ve now eliminated the need to manually mine documents for certain criteria, determine who should have access to which information, and export that information for publishing. Before the implementation of cloud-based technology, employees would often be forced to mine and pull documents, then burn them onto a CD or thumb drive. This practice made version control a nightmare, as files (and copies of files) were often saved to local drives or shared in several locations. Email is another culprit for what many call “shadow files.” These are document versions that are regularly referred to by employees and customers, but which are no longer up-to-date or contain missing information. There could also be a host of documents tied to one loan but stored in multiple places, creating a time-consuming and manual search-and-confirm project for employees. It is still not uncommon to see companies that have dedicated departments of anywhere from five–25 full-time employees who are dedicated to nothing but research. The cost of human capital alone is worth reevaluating these technologies. Cloud-based file sharing solutions provide more consistency and control over the documents and data that are required to navigate the lending process effectively. As with any technology consideration, hard costs (and associated ROI’s) tend to be the driving factor. In today’s competitive landscape, though, those organizations that provide the best customer experience are leading the charge while the rest fall behind. When a servicer can eliminate the work of managing servers and storage devices, they have greater flexibility to focus more on customer experience. Delivering customer delight by easily tracking missing documents, assembling complete loan packages, and making those packages accessible may provide the best ROI of all. Today’s client expects faster response times since their digital experience in other venues and with other servicers provides this immediate response. That means everyone involved in the process must remain connected, even if they reside outside the financial institution’s four walls as vendors or remote employees. Cloudbased tools like file-sharing solutions can provide the groundwork for that end-to-end experience. Finally, one last best practice is to ensure the vendor you choose for cloud-based file sharing has the experience necessary to deliver a safe and secure platform. To ensure the security of your information, make sure the vendor hosts your solution in a cloud where your data is not comingled with other companies’ and is protected with an encryption key unique to your organization. Also, ask where your data will be stored and backed up. If you’re one of the 65 percent of organizations (according to Association for Information and Image Management research) that still don’t have some level of sanctioned, cloud-based sharing standards in place, this is the year to re-examine your content-sharing strategy. Maintaining ownership over your information might seem like an insurmountable feat, but it is achievable. You can control and secure your information. You can protect your organization and you can empower your employees to safely share, as it is an inherent element of modern business. 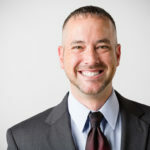 Steve Comer is the Director of the Financial Services sales team at Hyland, a leading provider of content services solutions to better manage content, processes and cases. Comer has spent the past 12 years working with financial services customers to develop strategic plans to improve their operational efficiencies through the use of OnBase, an enterprise-class solution for capture, workflow, business process management, and case management capabilities.